We’ve almost made it a virtue in our culture to stay over-busy. Yes, I’m guilty of this too. We love to relay our war stories of how many different balls we are juggling and how sleep deprived we are. I’ve made strides to remedy this, but there are some things in life that are simply beyond my control (like…a baby that will be arriving soon and keeping me up nursing through the night). 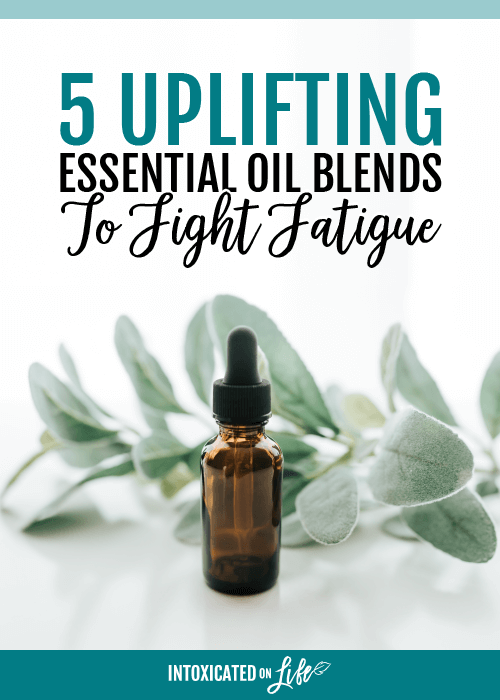 While it’s smart to simplify and get the rest you need, for those days when you need a little pick me up don’t reach for the caffeine reach for one of these 5 uplifting essential oil blends to fight fatigue! Many essential oils offer properties that can uplift your mood, fight fatigue and give you that extra boost of energy to get through the day ahead. These oils are nature’s gift and are here to support your total wellness. 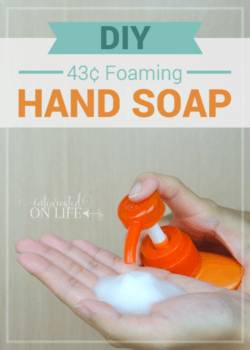 Use topically—diluted! Please don’t make these blends and apply directly to your skin. Be sure to dilute them with a carrier oil (here’s a post all about carrier oils in case you’re an essential oil newbie and need some info). How much you dilute your essential oils depends on a number of factors, but here is a general common sense guide to diluting essential oils you can use to guide you. If there is one blend you particularly like, you can always make up a roller bottle using the ratios listed to keep on hand for easy pre-diluted application throughout the day. I love roller bottles for their convenience. Diffuse it! My favorite way to use essential oils is still through diffusing. Yup, I have a diffuser in nearly every room of my house. Make the blends and just place a few drops in your favorite diffuser. These blends will give a pick-me-up to anyone who happens to be around (ok…so maybe you don’t want to diffuse them around your crazy 2 year old! ha). We all need a little get-up-and-go on occasion and these blends offer enough variety and support I’m certain you’ll find one that you like. Feel free to experiment with combinations to and find the scents that work best for you and the combo that gives you the most benefit. Okay, time to get moving! Are mornings as hard for you as they are for me? It doesn’t seem to matter how much sleep I get, I always have a hard time finding my get-up-and-go in the AM. This is the perfect blend for when you need a little extra convincing to get motivated in the morning. Use this when you’re struggling to get out the door or when you just need that extra oomph to get something done. This is a reliable blend for stamina that has a long lasting energizing effect. Do get an afternoon slump? Me too! Sometimes I try to grab a quick nap in the afternoon (especially during the exhausting third trimester of pregnancy), but I can’t always fit it into our schedule. This combo packs a powerful punch and will keep you going! Are you feeling under the weather or just need a little pick-me-up? Combat the rainy day blues with one of my favorite fun heart-warming blends. Tis’ the season for sniffles and sneezes! But this blend will provide support for overall wellness and immune support while giving you a little boost. Vitality blend is perfect for the changing of the seasons, to combat jet lag and works as defense against germs when engaging with the general public or large crowds. Lift your spirits and balance your synergy with this wonderful balancing blend. 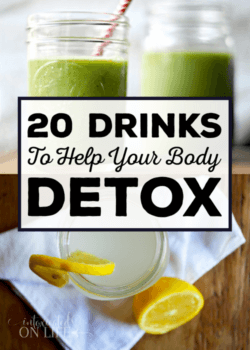 A go-to blend for when you find yourself in a funk or simply feel the need to balance your mood or emotions (sigh yes, we all sometimes have those days!). 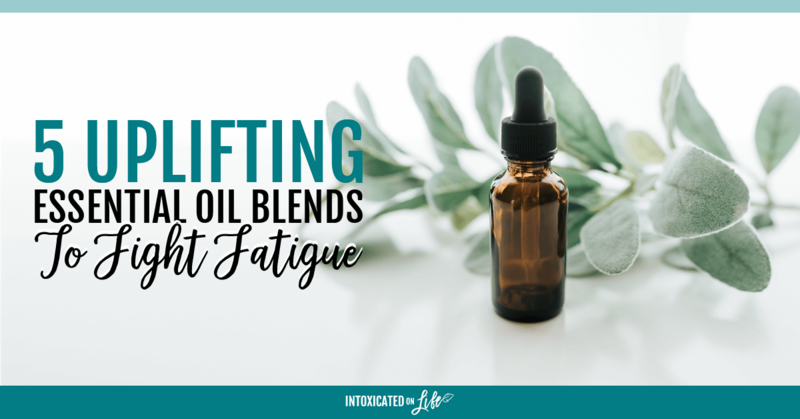 Give these fatigue-fighting essential oil blends a try and let me know how it goes. I’ll be waiting to hear from you! Sharing at The DIY Mommy, The Modest Mom Blog, Create With Joy, and Denise Designed.